We wrote in our previous article that Canadian dollar may get a bid if NAFTA (North America Free Trade Agreement) is successfully renegotiated. The three countries under NAFTA (U.S., Canada, and Mexico) are all under pressure to reach a deal soon. The reason is because of Mexico’s presidential election in July as well as US congress procedural deadline and U.S midterm elections in November. Failure to conclude a deal will cause job loss and uncertainty, denting business confidence. Delay will also add to political unpredictability since some politicians may no longer be involved in politics next year. Mexico will have a new administration and US will have a new congress after mid-term elections. There’s also U.S. threat on steel and aluminum tariffs. The tariffs are scheduled to take effect in June 1, if the NAFTA deal doesn’t come through. US House Speaker Paul Ryan gave a self-imposed May 17 deadline in order for US Congress to review and approve it. However, last week the deadline had passed and still the parties have not agreed to a deal. Mr. Ryan has since extended the deadline by 1 or 2 weeks to the end of May. He clarified that it still has enough time for voting provided that the U.S. independent body can analyze the new deal faster. Last week, the failure to meet May 17 deadline combined with less than expected inflation data from Canada caused the Loonie to initially get sold. However, the Canadian Dollar has since reversed last week’s weakness and even extends higher against some currencies. This underscores the belief by market participants that a resolution will eventually come through. The high Oil price has also helped Canadian Dollar. The continued US/Iran geopolitical tension and threat of new sanctions underpin the support in Oil. There are also some progresses on the US – China trade war negotiation. Although a deal is nowhere close, but the two sides continue the talk and thus defusing the tension. GBPCAD decline from 3.19.2018 shows an extension (161.8%) in the third swing lower. If this interpretation is correct, then it has a chance to extend lower as an impulse. The characteristic of an impulse wave is an extension in wave 3 with 161.8% fibonacci extension or higher as the typical extension. 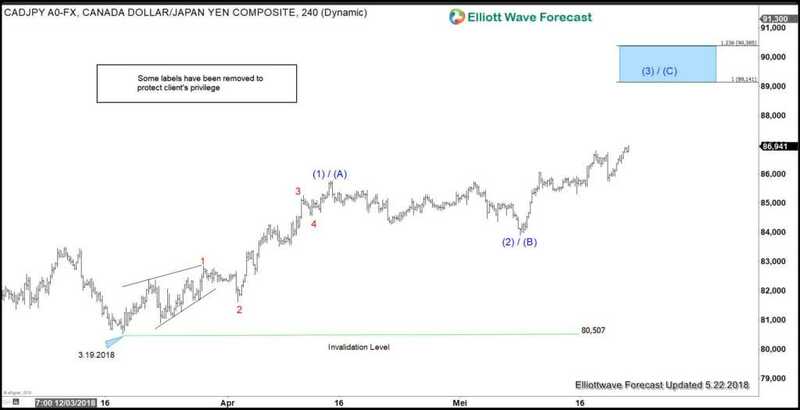 As far as bounce stays below the proposed wave 2 at 1.809, the pair has a chance to extend lower as an impulse. This pair then also favors Canadian Dollar’s strength. Despite failure to reach Nafta deal by May 17, Canadian Dollar continues to be supported due to the ongoing speculation that eventually a deal will come through. 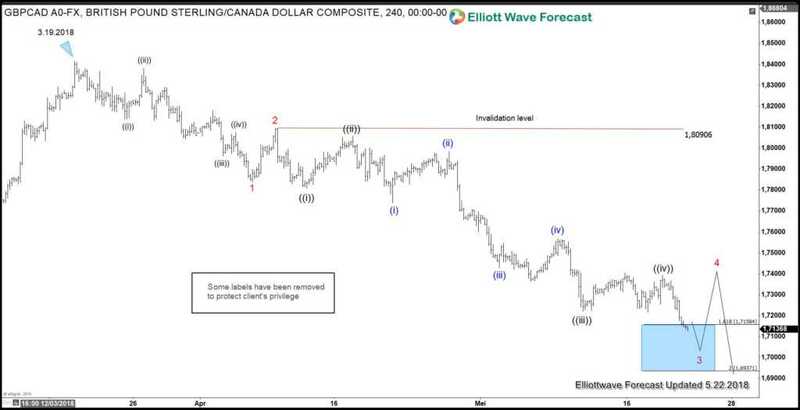 The elevated price of Oil has also been supportive of Canadian Dollar. Technical view of some Canadian pairs also look to confirm this view. 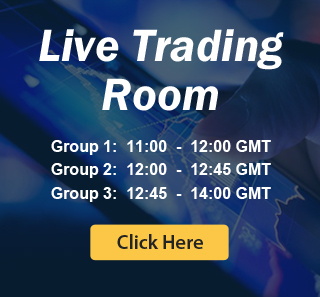 To get a forecast on 78 instrument, you are welcome to take our 14 days FREE trial You will get access to Elliott Wave charts for 78 instrument, trading signal, 24 hour chat room, live sessions and more. Welcome to EWF!